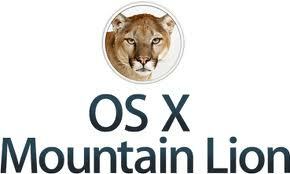 During its earnings report on Tuesday, Apple officially has announced that Mountain Lion otherwise known as OS X 10.8, the latest edition of its operating system for Mac desktops and laptops will be released on Wednesday, July 25th. Users will be able to download it from the Mac App Store. Mac users all the way back to Snow Leopard can download the latest Apple software. At Apple’s recent Worldwide Developers’ Conference, CEO Tim Cook said that Mountain Lion added more than 200 new features. Features include Twitter integration, an iMessage client for Mac, to receive phone messages on the computer,support for AirPlay.